Libanais Sweets are made from the finest ingredients using the highest quality nuts. Our sweets are handcrafted to perfection using traditional recipes and are 100% preservatives free. 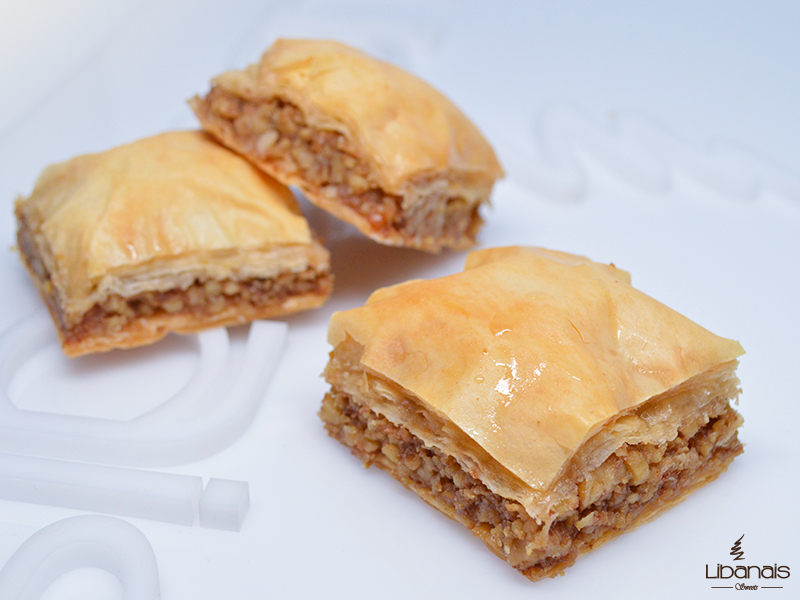 Our Baklava and its extended family of sweets is the best in the Chicago land area. We also offer the Sugar Free Baklava and the chocolate covered baklava. Learn more about what is baklava, its ingredients, how its served and how its gifted. The baklava family is an assortment of different flavors and shapes and is not limited to just squares filled with pistachios or walnuts, read about the classification of baklava as well.